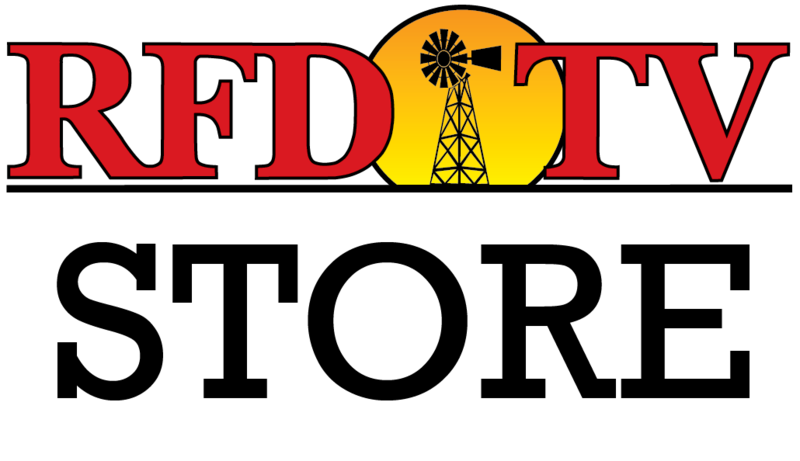 NASHVILLE, Tenn (RFD-TV) Women in agriculture took the spotlight last night on RFD-TV's RURAL AMERICA LIVE, which featured special guests, Marji Guyler-Alaniz, founder of FarmHer and RFD-TV EVP of Marketing, Raquel Gottsch. The two joined MARKET DAY REPORT's Janet Adkison in the studio to discuss the exciting new show, "FarmHer," which premieres Friday, September 9th at 9:30 p.m. EST. The co-producers talked about the challenges of producing the show and some of the obstacles they've encountered along the way. Female farmers are one of the fastest-growing groups in the U.S., at 32%, and are about one million women strong, yet female farmers often go unnoticed … until now. RFD-TV’s new series, “FarmHer,” focuses its lens on women in agriculture told through photographer Marji Guyler-Alaniz. Inspired by the 2013 Super Bowl Ram commercial, “God Made a Farmer,” Marji was struck by the low number of women featured in the ad and decided that it was time for women in agriculture to get the recognition they deserved. The concept started with an online community and photo project. Now a new series, premiering September 9th on RFD-TV, “FarmHer” is the embodiment toward her goal of spreading a positive image of the female farmer and creating a dialogue that highlights the importance of women's role in agriculture. Produced by RFD-TV in partnership with FarmHer.com, the series is presented by Syngenta U.S. and sponsored by Mahindra. Each episode of “FarmHer” will follow a different FarmHer and explore what daily life looks like for women in agriculture. From an urban goat dairy in Tampa and an alpaca farm in TX to a cattle exporting business in Florida, “FarmHer” takes you inside the nitty-gritty lives of female farmers. Executives from both sponsors joined the LIVE show via phone. Dan Burdett, Head of Customer Marketing for Syngenta, said, "Syngenta recognizes the importance of women in agriculture all across America ... whether it's working on the farm or in the lab, women have continued to make major contributions to our industry. Being a part of the FarmHer movement is just one way we can celebrate their contributions. We're really proud to be the presenting sponsor of the first season of this new show and we're looking forward to seeing it getting started." Cleo Franklin, VP of Marketing for Mahindra USA also joined saying, "Mahindra is very excited to work with Marji and Raquel. Mahindra believes in driving positive change. What better way to drive positive change than to go across the country to showcase and chronicle the diversity and wide array that women are doing in farming? We also have a 10-year-old agriculture scholarship, in partnership with the FFA, targeted specifically for young women, to invest in the future of agriculture." EVP Raquel Gottsch went on to say, "We are very fortunate to have really great sponsors. [Syngenta and Mahindra] signed on before we even had a sizzle reel in the can. They believed in this. That lit a fire between Marji and I and led us to believe that we are doing the right thing. We're honored to have Syngenta U.S., who has a female president which we are featuring in the project. And Mahindra has a wonderful CEO who is a big supporter of women's initiatives and women in agriculture." FarmHer was founded in 2013 to begin to change the image of agriculture – to include women in that image through photographs and stories. It quickly became clear that women in agriculture not only appreciated FarmHer, but they needed it. And they asked for more. Today, FarmHer has grown into not just a gallery of images that are changing the way people perceive a farmer, but also into an online community built just for women in agriculture. This community is a place where this imperative group of women can experience stories about others like them. A place where they can connect with and learn from others in a safe and positive environment. A place where women rise to the forefront of agriculture. Join the journey and be part of the FarmHer movement today!